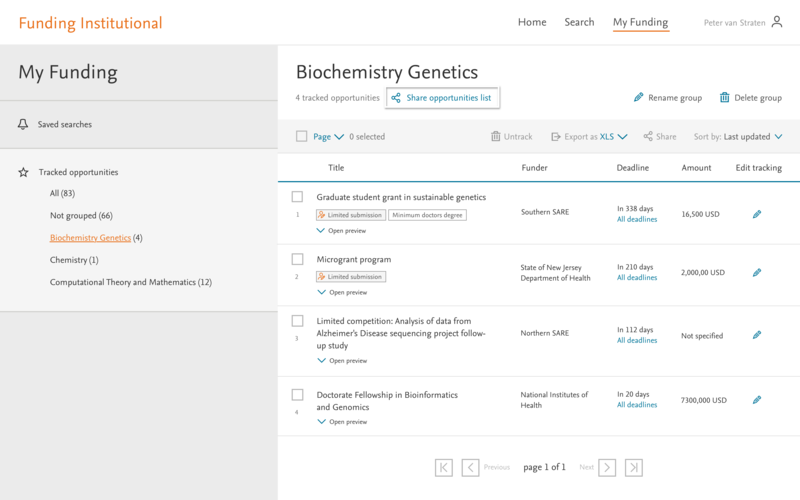 Two major items were released in June for Funding Institutional Users: Share a Group and Opening Access to Opportunities inside the Institution Network. 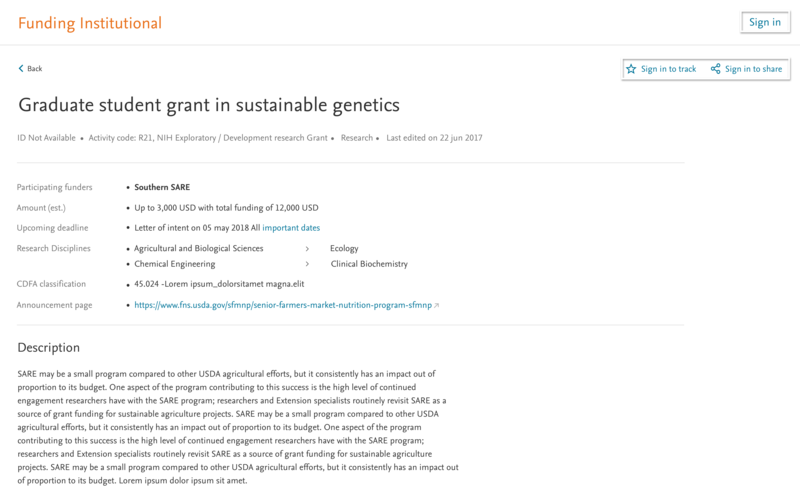 Disseminating the relevant funding opportunities for your organization just got easier! As you identify relevant funding opportunities for your organization, you can assign them to the groups and share. Once shared, these opportunities can easily be discovered by everyone in your organization. Once you create a group of opportunities from any search results, it is quick and easy to disseminate the list of opportunities from a group, either by email or using the public share link. 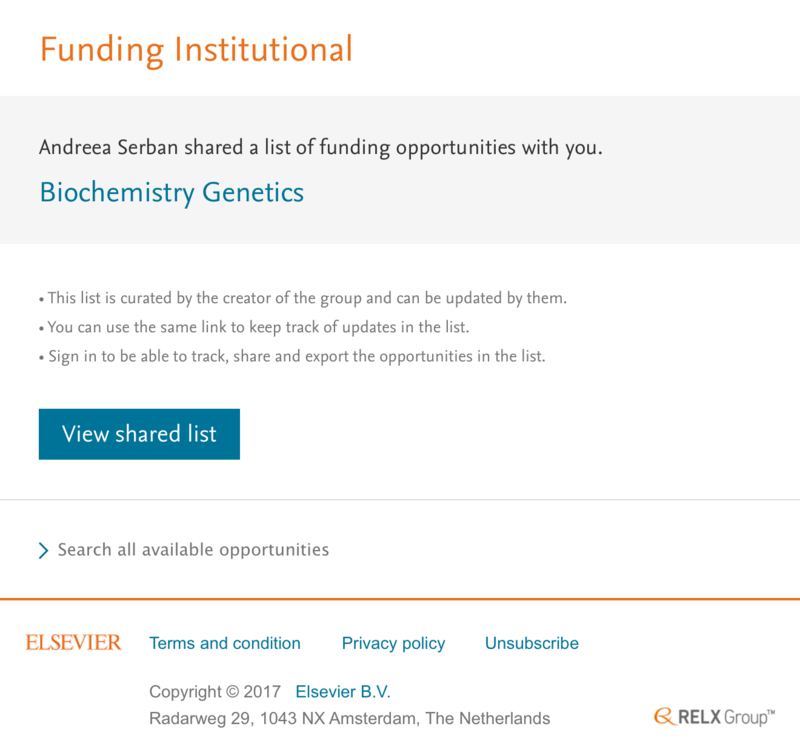 You can use the public share link in your internal communication, newsletters or intranet and make curated lists of funding opportunities available to the institution members. Simplify the way the information is being shared across your organization. With this release, the opportunities can be accessed without being required to login, from inside the network of your organization.